To level the crypto currency playing field for Feathercoin, we - the Feathercoin Development Foundation - release the first version of Electrum-FTC. Great work all involved, I may be mistaken but I think this makes Feathercoin the only Altcoin (other than Litecoin) to have a recent version of Electrum! Yes! As far as I know the few other Electrum wallets that exist all aren’t on 3.X (therefore are not segwit ready). No kidding?!? this is great news!! That’s so ridiculously awesome. this is ACTIVE development!!! Thank you to everyone involved. Small correction: all Electrum wallets I know off other than the Bitcoin and Litecoin one. We are still ahead of all the other Alts. 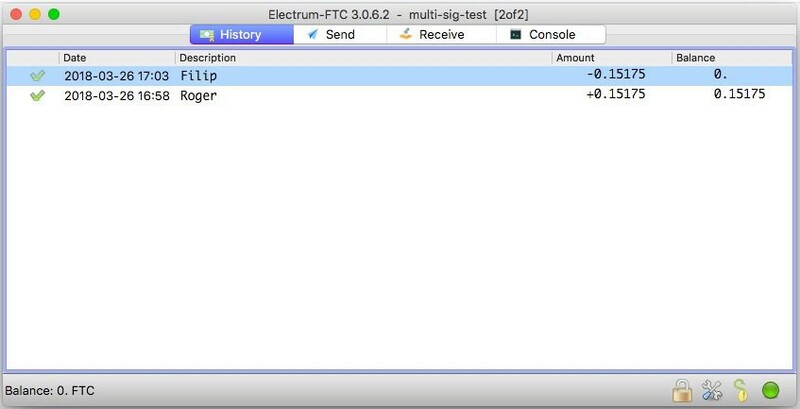 We are currently preparing the next release of Electrum-FTC (3.1) with a lot of bug-fixes from upstream.